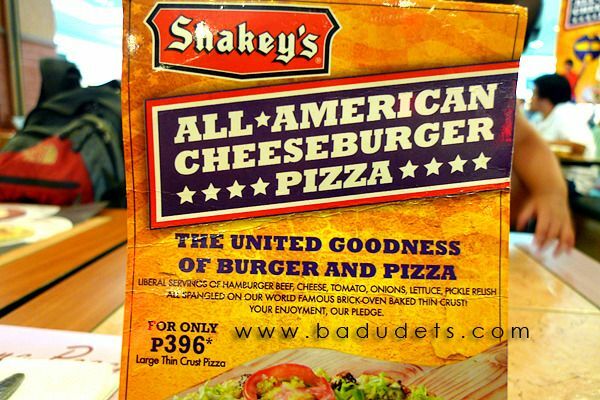 Shakeys | Badudets Everything Nice! 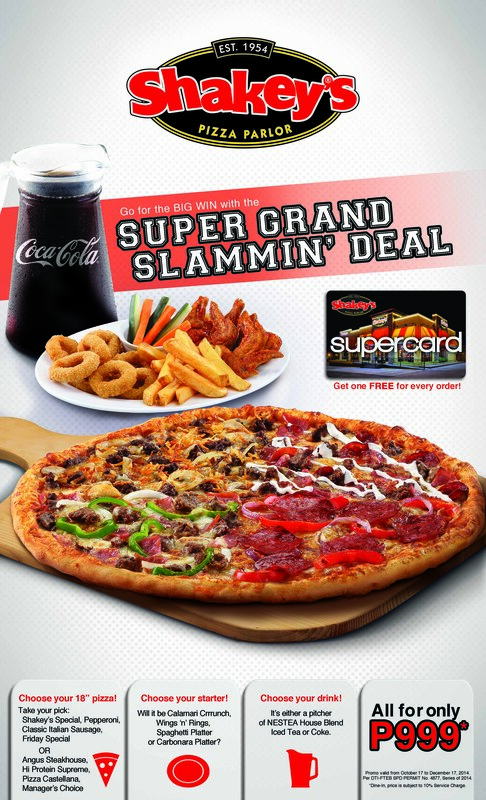 Since it’s the season of celebrations, parties and reunions here and there, Shakey’s has the best deal for you. Shakey’s is one of our go-to-places whenever we’re dining for big groups like team building, get-together, etc. Their monster deals are value for money, you already have pizza, pasta, appetizers, and drinks. 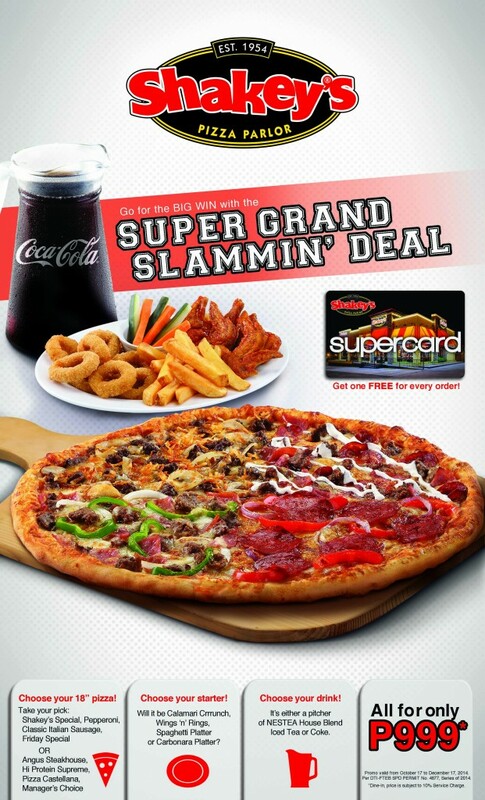 But there’s an even better deal all you Shakey’s Pizza lovers cannot resist. We were craving for pizza so we headed to Shakey’s to order just the usual, Manager’s Choice and mojos. But the waiter suggested and was really pushy that we get their latest pizza, The All-American Cheeseburger Pizza. Okay, let’s try.